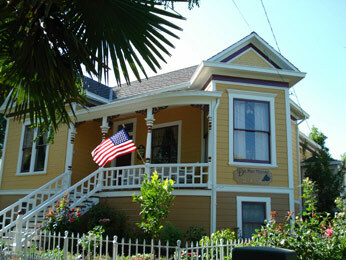 DeMar House is a Historic Victorian Vacation Rental Property, nestled in the heart of beautiful Napa Valley. Their ideal location is walking distance to some of the finest restaurants, shops and local tasting rooms in the City of Napa. They offer the perfect setting for a bachelorette getaway, families and even honeymooners. You will have the home all to yourselves – exclusively. It is our pleasure to provide clients of Bridal Reflections with a special reduced rate, as well as being greeted with a gourmet chocolate truffle reception. Visit their website for more information, and please mention Bridal Reflections for your discount. We look forward to seeing you at De Mar House. Cheers!